Before Ebony turned in her application for the Habitat Homeownership program she had gone to the meetings two times and never turned in the applications. But the first time she decided to turn it in she was approved. Being a full-time mother working two jobs and consistently renting never owning a home lead Ebony to the decision to contact Habitat. Some of the challenges Ebony faced as a first time home buyer including inadequate credit, low income and lack of a down payment. 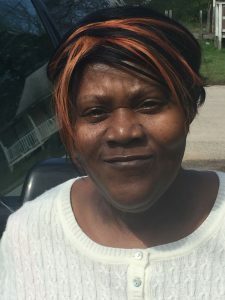 Ebony lived in an older small two bedroom home with her four children. Which she said was not enough space for her and her children on her budget. In her home, her son’s bed had to be located in the living room and her daughters shared a bed against a barricaded door. “The lack of living spaces and old wiring in the home makes the house a struggle to live in”, she said. They have lived in these conditions for 2 ½ years. 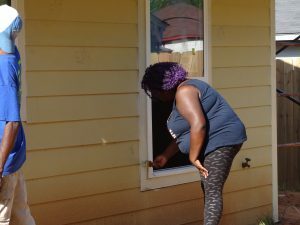 While living in this home Ebony felt isolated because she could not have family over. She told us that if Habitat could help her, her life would be different. 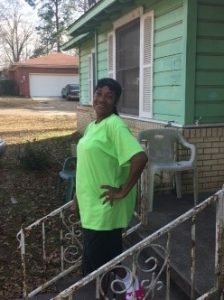 After being approved for the Habitat homeownership program she has experienced many benefits. Ebony was working two jobs from 10 pm to 8 am and would work her hours for Habitat after her shifts. 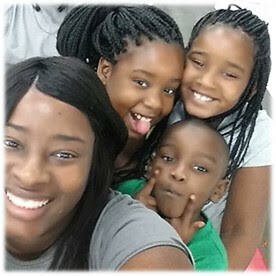 She said, “It is stressful but it has been good and the children are very excited.” When she was having a hard time Cheryl and LaJuan were there to give her advice. She said she sees Habitat as family. We asked Angelica how her life would be different if Habitat helped her. She said, “If Habitat can help bless me with assistance with a decent and affordable housing for my big family my life will be different because I would have a place for my family to be independent.” Since being a part of the Northeast Texas Habitat for Humanity program Angelica told us that she has benefited by becoming more responsible. The program has prepared her for home-ownership. She said she now understands the value of a home since building a home from the ground up. 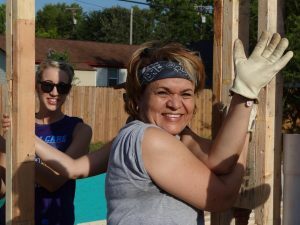 Angelica said, “All around Habitat has helped me grow as a person.” “(Habitat is) the best thing that has happened in my life.” So far Angelica has logged 200 of her hours. She needs 150 more to complete the whole program. Mrs. Sharon Pickett had water coming into her home for a while. It’s been flooding for 4 years and her insurance company was unable to help because she could not prove where the water was coming from. Nico, our construction manager was able to detect the source of the water was from the roof. 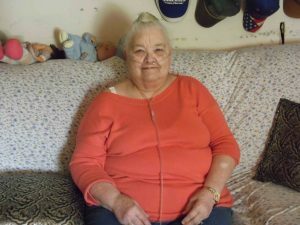 Mrs. Sharon Pickett is 78 years old and has been living in Longview for over 40 years. Her husband of 42 years, passed away 17 years ago and through the years things with the house changed. Due to a limited income and being on social security, Mrs. Pickett tried to handle the problem on her own. She said, “I had the carpet and the pad removed due to mold.” She tried to keep water from going all over the place. She tried using sandbags and store-bought items. She was unable to figure out how the water was getting in. Mrs. Pickett stayed in a constant state of worry (her words, and confirmed by the daughter – in- law) when it rain because she had to shop vac the entering water. We asked her how she heard about Habitat. She said a lawyer for the elderly mention Habitat to her and her daughter helped her with applying. I never thought I would qualify because I already have a place to live,”’ she said. Mrs. Pickett said she is so thrilled about her new roof, it is an architect roof, she said. I never dreamed I’d get one. It’s wonderful! She wanted to make sure Nico and Cheryl got a big thanks. They were so courteous and kind. Also, she wanted to thank Gerald, on Pine Tree road for the excellent job he did. She said, “I got to pick out the colors and do the whole thing, and I thought that was very special.” I got a whole roof for $400. I couldn’t ask for anyone to do a better job. Mr. Duraso, retired from the U.S. Air Force after 13 years of distinguished service. When we met him, he had not had heating and cooling capabilities in his home for nine years. In fact, he had called repair companies on previous occasions and was given estimates of several thousands of dollars. A cost he simply could not afford. 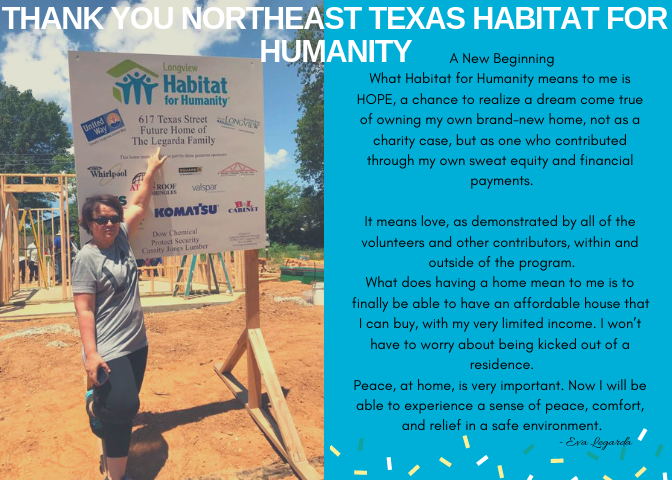 The Northeast Habitat for Humanity Veteran repair program came in and discovered that not only could the unit be repaired, but the cost of the repair was only $200.00! This easy fix gave him the opportunity to also have safety issues addressed. 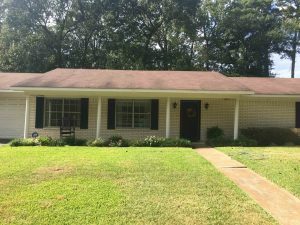 The leaking roof was replaced, damaged floors repaired and the bathroom was remodeled. His shower was unusable, and he could no longer navigate in and out of his garden tub. Mr. Duraso’ home is now secure from rain, a comfortable temperature year-round, he doesn’t worry about falling through the floor and he has a usable shower. 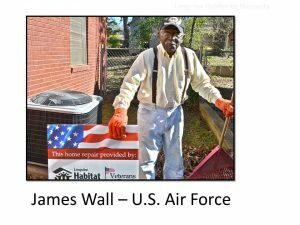 WWII Veteran James Wall is lovingly described as a “work-a-holic” by his wife who told us, “I don’t even bother asking him to sit down anymore.” James has lived quite the life. After returning from the war, he worked as a pastor, became the first African-American principal in Carthage, and found time to serve as County Commissioner. Today, Mr. Wall may be retired but he is definitely not sitting still! He is focused on maintaining his home and yard as well as he possibly can. That takes a lot of work. But keeping up that pace, or just living in East Texas for that matter, requires air conditioning and occasional heat. A few years ago, the Wall’s HVAC unit began to fail. Mr. and Mrs. Wall spent quite a bit of time, effort and money – around $900 per year – trying to keep the unit running. Eventually, though, it failed. An AC company quoted them a range of from $8,000 to $15,000 to replace their unit. Paying this exorbitant amount for a new HVAC unit was not possible (or advisable) for the Wall’s. But having clean, comfortable air to breathe and live in was a necessity. Through the Veterans Critical Home Repair and Modification program, the Wall’s received a new unit and the attending installation adjustments to their home. The cost to the program was $5,000. After a few years of troubling living conditions, the Wall’s are no longer stretching the confines of their budget, comfort, health and safety standards in order to live in their home. NETHFH staff stopped by the Wall’s home to take a photo of the completed project. There was only a quick second to snap a photo of James, rake in hand before he got back to work. 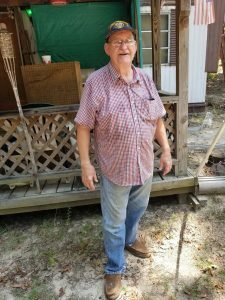 Billy, a U.S. Army veteran had water seeping into his home from ground level for a very long time. The water weakened the wall and rotted the drywall. The repair team discovered that a leak in the French drain created the problem. The drain was repaired, the water flow diverted away from home, and we repaired the damaged walls. Tiffany heard about Habitat from a friend who worked for Habitat. She called and was put on the waiting list. We asked Tiffany to tell us about her current living situation. She shared with us that she struggles with finances every month. She barely makes any money and it is hard to pay her bills, also the landlord is reluctant to fix problems at the trailer she lives in. She has two kids a daughter who is 16 and a son who is 10. She said, because they are older it makes it hard to keep them in the same bedroom, so a three bedroom house would be ideal. Tiffany is a single parent, not by choice, she says. She has faced many challenges trying to solve her housing problems. She told us she is doing her best to stay in the area for her children’s safety and future. Her daughter is entering her high school year and cry’s because she wants to stay at her school and graduate from high school without moving to a new location. Her daughter even started working to help out the family. Tiffany has worked many jobs. She has been a hospital unit clerk, a CNA, and a rehab tech which paid really good money but she was not able to keep because of her ex-husband. She currently works at Goodwill where she has been an employee for 5 years. She says, “It doesn’t pay well but it is safe from her ex-husband. Tiffany told us she deals with multiple injuries and PTSD caused by past situations. She said her problems of living in bad housing began when she was 17. Her mother moved away and Tiffany was left by herself raising her sister and her own daughter. Kathy is a 50-something year old, native of Longview. She spent much of her adult life working in a local plant. Approximately ten years ago she became medically disabled. As her illness advanced, the physical disability made walking very difficult. In fact, she was unable to leave her home without physical assistance due to the stairs at the front and back doors. She could not step up and into her standard bathtub at all. Because she lives alone, this made Kathy a virtual prisoner in her own home. 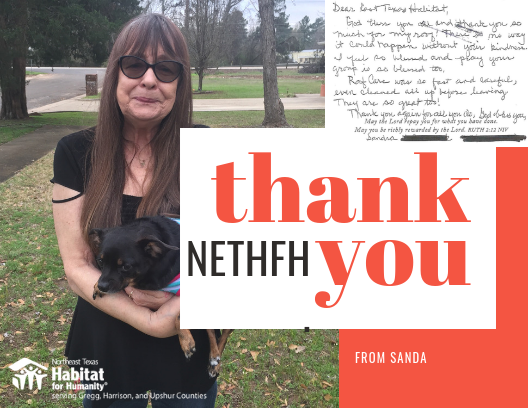 Through the repair program, NETHFH contracted with a professional subcontractor and supervised the installation of a walk-in shower, grab bars and raised toilet in her only bathroom. For the first time in several years, Kathy was able to take a full shower, rather than simply “washing up” at the sink each day. A few weeks later a group of volunteers led by the NETHFH construction manager arrived and built a ramp at the entrance to her home. When the work was completed and using a walker, she made her way to the bottom of the ramp, kicked off her shoes and stepped onto the lawn. With tears streaming down her face, she said. “I have not felt the grass beneath my feet in five years. 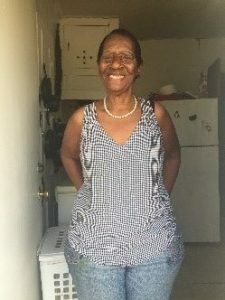 Thank you.” This program made her entire home accessible once again, provided a usable bathroom and shower, improved her safety by providing an accessible way in and out of the home and gave back independence that had been lost. Claudia had a water issue. Leaks in her roof destroyed portions of the roof, ceiling and flooring. The water also caused electrical damage and several of the light fixtures were inoperable. Habitat replaced the roof, repaired the floor and had an electrician repair the electrical and replace the fixtures. During our time at her home, we discovered that her bathroom and kitchen plumbing were also clogged and leaking. Those repairs were completed the following week. When we met Dora, her roof had been leaking for some time. Though they tried, she and her husband were unable to repair it and could not afford to hire a roofing company. 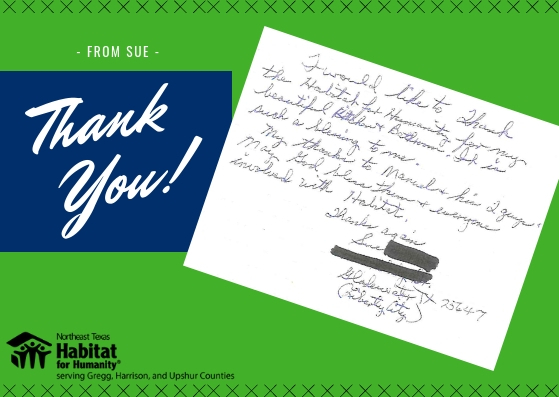 The Habitat Critical Repair program replaced her roof. Dora’s family has been warm and dry during the recent rains. Alene, a person with disabilities, had an inoperable bathroom. She had to use a laundromat or rely on the generosity of friends to wash her clothing because the washer line was clogged, too. The bathroom and all of the plumbing in the house were repaired by a plumber. Carolyn’s floors were severely damaged. Not only was it a safety hazard, but parts of the home were simply inaccessible. The front door would not close. She wedged a chair against the door to secure it at night. 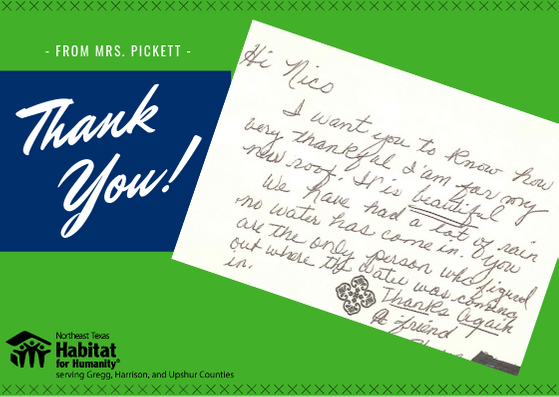 The critical repair team repaired the flooring, replaced the door and repaired a plumbing leak beneath the bathtub to prevent further water damage in her home. 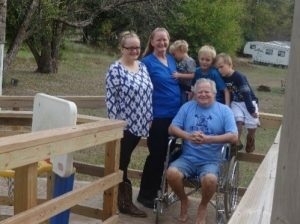 72-year-old Gary from Gilmer, TX, served in the US army in Europe. 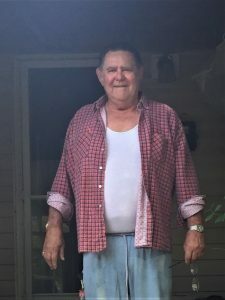 Following his military service, he began a career in security and retired as the assistant director of security for the Longview Mall in 2012 to care for his ailing sister. Gary has also experienced a number of medical issues since that time requiring hospitalizations and surgeries. As a result of these difficulties, he was unable financially or physically to maintain his home. Gary told us he was self-conscious about the condition of his home and it affected his emotional health. “I (developed) low self-esteem because I couldn’t do the things that needed to be done.” He searched the internet for help for two years without success. Then Gary found Habitat’s Veteran Repair program. 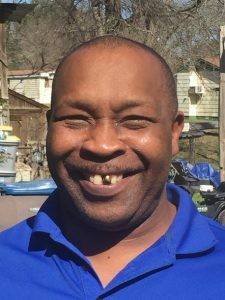 Habitat replaced his roof and sub flooring, repaired electrical and plumbing hazards, replaced the kitchen cabinets and sink, replaced several windows, weatherized the house, and rebuilt the back porch to allow safe entry and exit. Gary told us that he had lived with these health and safety hazards in his home since 2012. We ask Gary what benefits he’s experienced since completing the repairs. Gary said, “My life improvement is about 70%. The house is safer. 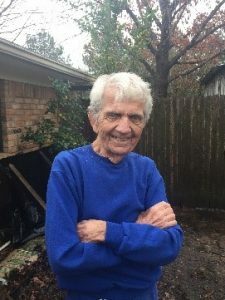 It is dry, comfortable and the floors aren’t soggy.” Gary has peace of mind as he moves about his home and enjoys fewer health issues due to the cleaner air quality of the home.